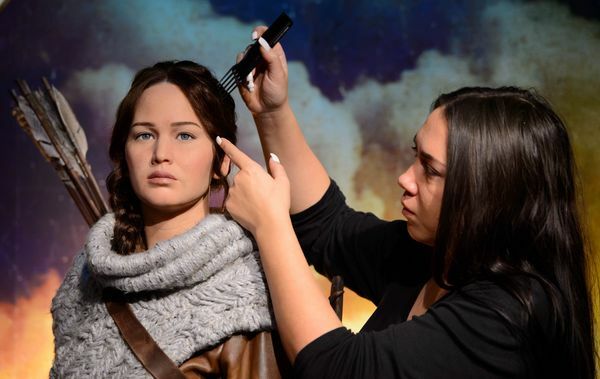 Jennifer Lawrence (left) is Madame Tussauds' latest inhabitant. Dolphin Square abuse investigation may also be a murder investigation. A woman was sexually assaulted while she slept on a train departing Liverpool Street. Not for the first time, the Met is told it's not diverse enough. London's A&E departments could do with an overhaul too. Will Oxbridge soon be playing second fiddle to London universities? An Islington pub is laying on free Christmas meals for the the hungry and homeless this weekend. TfL is clamping down on 'copycat' Congestion Charge websites. Jennifer Lawrence (or should that be Katniss Everdeen?) is the latest addition at Madame Tussauds (see image). Another day, another report of a train on fire. Not been to Pitzhanger Manor yet? Hurry — after 10 January 2015, it'll be closed for the next three years.